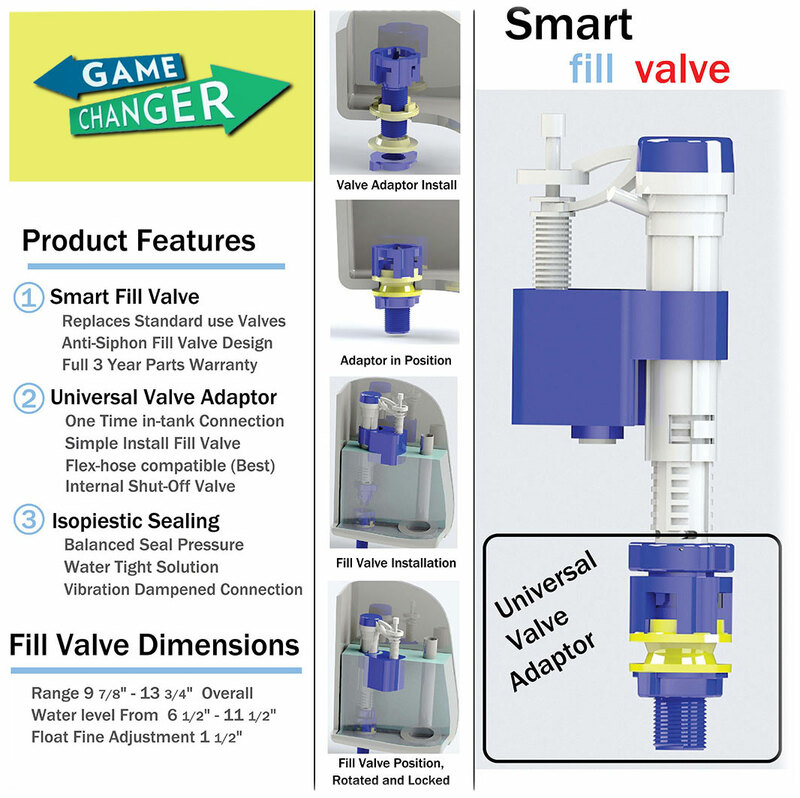 Your ONLY Source for the Universal Toilet Fill Valve that’s Changing the Game! 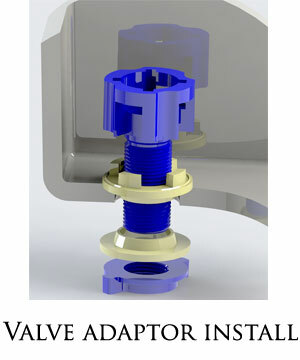 We are changing the way to install, remove and replace toilet fill valves. We are changing the game! 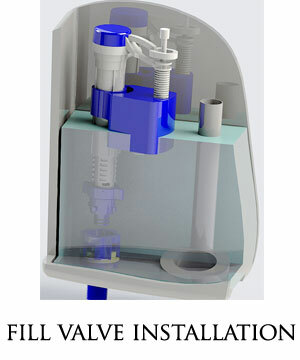 And revolutionizing the way to install, remove and replace toilet fill valves. 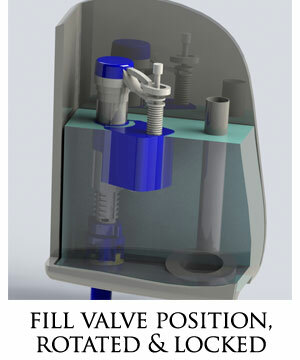 This Toilet Fill Valve Technology is the “Next Generation” of advancements in toilet components. The evolution of the toilet fill valve has seen little to no improvements over the last 60 years. Some consider a restricted outlet flow as advancement however; the same method of installation, operation, servicing/repair and replacement has remained unchanged. Our Smart Fill Valve technology advances functional use, service/repair, and operation with a common sense approach for the global toilet industry. We are changing the game. 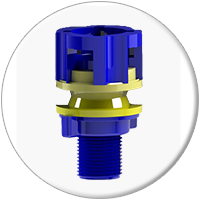 Introducing a universal valve adapter that offers a better solution to install, remove or replace toilet fill valves inside a toilet tank. Our product design focuses on the customer’s application for a long term solution that features an internal valve as a secondary shut-off for added convenience during replacement. 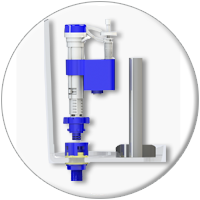 The Smart Fill Valve Hi-Tech Seal prevents leaking for the long-term and is easy to install. 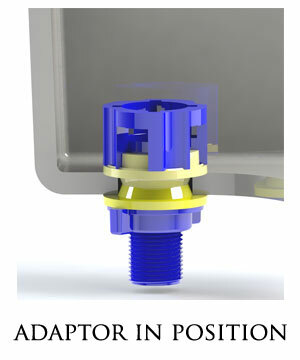 This is a secondary sealing action provides a water tight solution that lasts. Easy Installation & Compatible with all Major Brands! Look No Further. Purchase Today.